many of which i learned from tim gunn's fashion bible. 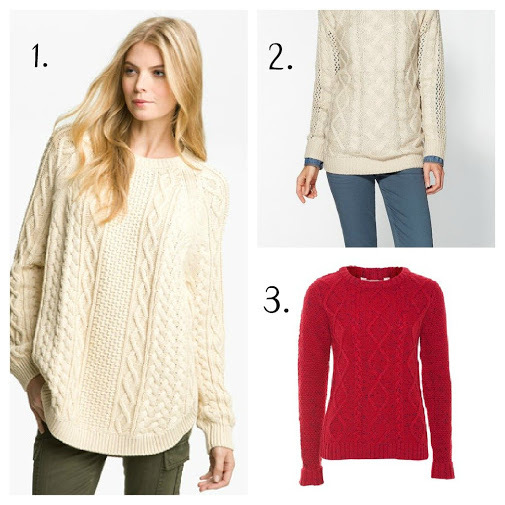 fascinating + cozy is the fisherman's sweater, or aran jumper. many of which had symbolic/superstitious value. for example, a stitch pattern called honeycomb represented the worker bee. the cable-knit represented safety and good luck when fishing. i love a garment with a strong heritage and a sweet disposition.